We have met a few times and shared our stories, blogging journeys, desires in the fashion industry. At our most recent meetup we were trying to come up with a way to collaborate and potentially involve other New Jersey fashion and lifestyle bloggers. With shows like Jersey Shore and Jerseylicious there is a negative image about fashion in this great state. Sharon and I come from very different backgrounds and cultures…but we both agree on tasteful fashion…I wouldn’t quite say I am modest…I take risks…but I also know the difference between classy and trashy…and what works for my age and body type. Our collaboration was born….showcasing THE REAL JERSEY SHORE style and inviting others to join in the fun. Please leave a comment or shoot one of us an email if you are a fellow Jersey blogger and are interested in getting in on the FUN…we don’t have a specific plan…but would love to connect with like-minded women who live in this beautiful state! 1. Keep the hemline on the longer side so as to NOT look like a teenager. 2. Keep accessories to a minimum, having the sock be the focal point of your outfit. 3. Keep the look on the more casual/day side. Think sweater dresses and wool skirts. So to answer your question, I say “TRY”! After all, fashion is supposed to be fun:) Hope you find some outfit inspiration and enjoy wearing the “sock” trend this fall/winter. Happy Shopping! Author Andrea BrusuelasPosted on October 25, 2011 January 3, 2014 Categories Blog, Fall FashionTags How to style socks with boots, Jeffrey Campbell, Layered necklaces, Over the Knee Socks, Socks with Boots38 Comments on To Try or Not to Try? I hope everyone had the happiest of holidays! Mine was filled with family, food, fun and of course, PRESENTS. Santa was very good to me…lots of great posts with my hubby’s SPLURGES to come:) For now, I will share my Christmas Eve outfit. I normally don’t share decor pics, but thought I would throw a few in….We hosted Christmas Eve…..so a lot of preparation and decorating…..going for a warm and cozy vibe…Hope you find some inspiration. Happy Shopping…..GO GET THOSE SALES! I thought this added a little bit of sparkle to a more subdued and casual outfit! With the little guy just starting to walk, I thought it was better to NOT have glass ornaments this year. Such a great alternative from Pottery Barn! Beautiful Christmas arrangement from my Aunts gift and floral boutique, Andi’s in BayHead NJ. Author Andrea BrusuelasPosted on December 26, 2010 December 20, 2013 Categories Blog, Winter WardrobeTags casual attire for the holidays, decorated house for christmas, Jeffrey Campbell, jersey shore, Old Navy, pottery barn22 Comments on Happiest of Holidays! It’s all the little details today…..
My outfit is rather simple and this post is ALL ABOUT the accessories. Just purchased these earrings and bangles and had to blog them, I love them both so dearly. Retailing for $22. I will ship them n/c. These bangles were a purchase from Nicole Miller Philadelphia (25 dollars for set of three). Aside from being beautiful, bright and cheery….they are also part of the Indego Africa fair trade initiative. A portion of the proceeds from every purchase go towards poverty stricken women in Rwanda. See, now you know why I love Nicole Miller so much….killer clothes, killer style and a whole lot of substance. The bracelets are sold at all Nicole Miller stores…please let me know if you are interested (carly@thirtysomethingfashion.com) and I will get you in touch with the Philadelphia stores. Author Andrea BrusuelasPosted on December 17, 2010 December 20, 2013 Categories Blog, Winter WardrobeTags Fashion and Style for ThirtySomethings, Jeffrey Campbell, New Jersey personal shopper, Nicole Miller, Winter Style24 Comments on It’s all the little details today…..
Hi all. Hope everyone had a great weekend. I am slightly on the hang….Hubby and I had a night out on the town with a bunch of friends. So great to see everyone, loads of fun…especially because it gave me a reason to wear my NEW MinkPink loepard tunic from Seventh Door. I have blogged about this online shop before. Really great site for trendy “of the moment” pieces that do not break the bank. I feel like this tunic has limitless possibilities…..turtleneck underneath this winter, with jeans, with leggings, and in the summer…how cute will it be over a black bikini! I would say this top was a total SCORE. Hope you find some outfit inspiration and Happy Shopping! Author Andrea BrusuelasPosted on November 14, 2010 November 17, 2013 Categories Summer StyleTags Jeffrey Campbell, Old Navy, Pink Mink7 Comments on Leopard on the town! There is no “theme” to my favorite Jeffrey Campbell Shoes….Just my absolute favorite picks. 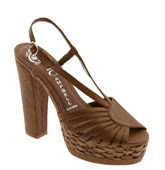 First feature is the “charmed” sandal retailing for $109.95. Amazing summertime shoe and also can be worn into early fall. Loving that this platform has a vintage feel but it also very modern. 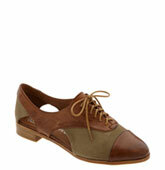 Second featured is the “prospect” oxford shoe. 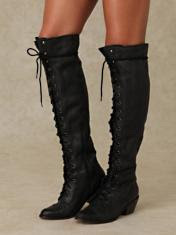 These are quite trendy, but SO cute! The vintage inspiration is there, but the cut outs on the sides make it very updated and modern. Great with jeans and a tshirt or how cute would they be with kakhi shorts? For the bargain price of $99.95 this is one trend that you can afford! Third and final featured shoe is the “rally” sandal retailing for $164.95. This shoe is the most versatile to me- It has tiny studs all over it that almost look like sequins, so it is perfect for evening club goers. Since they are not actually sequined you are perfectly fine to wear them daytime or out to dinner. The grey color allows for pretty much ANY season ( also available in black). I am really digging these shoes! All of the above are available at www.nordstroms.com and don’t forget to check out www.jeffreycampbellshoes.com to see into the world of Jeffrey Campbell and to find out all the retailers that carry the brand.